The Galactic Empire’s iron grip seems insurmountable. The most powerful war machines the galaxy has ever seen are opposed only by a relatively small number of courageous souls. But the bravery of Soldiers and ingenuity of Commanders would be like a gentle breeze against the mightiest trees of Kashyyyk without the tireless work of every Engineer in the Rebel Alliance. Blasters and bombs, starfighters and secret bases, repurposed datapads and rebuilt droids—Engineers transform the noble ideals of the Rebellion into action with every turn of the spanner. 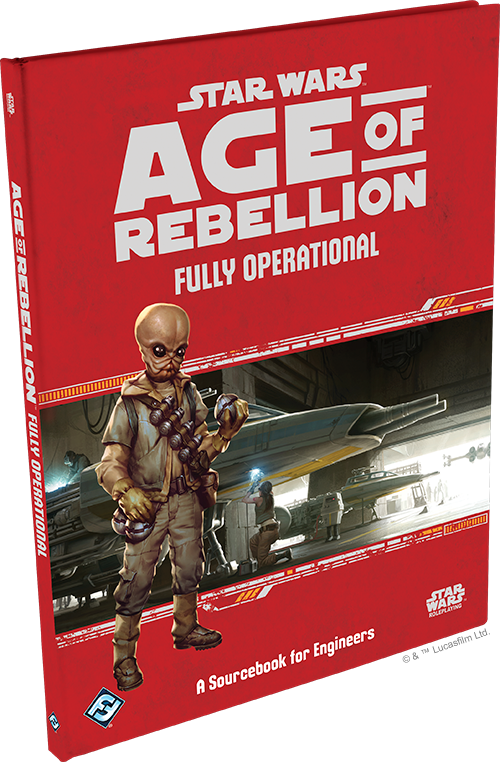 Fantasy Flight Games is excited to announce its next release for the Star Wars™: Age of Rebellion Roleplaying Game™. Fully Operational, the career sourcebook for Engineers, expands the resources available to players and gamemasters alike with new talent specializations, species, potent Signature Abilities, gear, and campaign enhancements perfect for those with a proclivity for tinkering, repairing, and constructing. The contributions Engineers make to the cause of the Rebellion can be as varied as the individuals who put on the tool belt. A frontline combat Engineer must be attentive of the material needs of her squad—the Heavy’s repeating blaster rifle keeps overheating at the most inopportune moments, the scrambled communicator in the safe house needs to be tweaked to get an extra parsec of signal, the ship’s failing hyperdrive generator needs one more jump squeezed out of it, a specific amount of shaped charges must be applied to an Imperial garrison’s garage door to create an, as the platoon commander puts it, "apocalyptic" distraction. The needs and demands on an Engineer are varied and vital, and can only ever be completed with the right tools for the job. But it doesn’t end there, either. A less adrenaline-fueled Engineer may be tasked with supplying an admiral with a plan to neutralize an orbital research facility’s defenses so that a team of infiltrators can capture it quietly. Knowledge of civil engineering may prove quite useful to a more diplomatic party, as assistance with recovering from collateral damage or natural disasters could go a long way toward swaying the hearts of everyday people to the Rebellion’s cause. An Engineer more adept at science and theory can be essential to the war effort on an even grander scale. The design and construction of bases must be optimized to take full advantage of the supplies and geography at hand, as Rebels don’t generally have the luxury of wide open spaces or the access to building materials as enjoyed by the Empire. Others work to iterate and innovate on the weapons of war needed to liberate the galaxy. From the humble blaster pistol to Nebulon-class frigates, any piece of technology that can be improved upon must be, for the Empire aims to never be outmatched. Fully Operational introduces a new specialization perfectly suited to this goal: the Shipwright. Combined with the new starship crafting system, Shipwrights are integral members of their team—and the Rebellion at large—through building, customizing, and maintaining their starships. 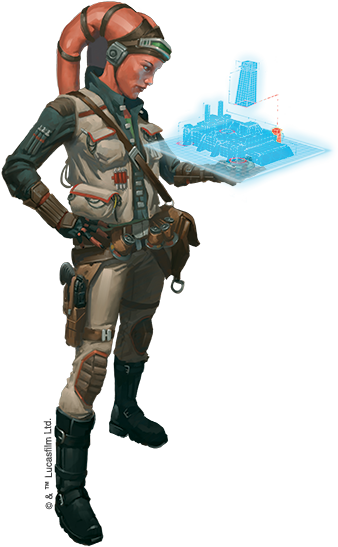 Aside from new game systems, Fully Operational provides players and gamemasters with narrative material to help bring Engineers to life in your campaign. A new list of Engineer-specific duties containing entries such as Siege Engineering and Environmental Manipulation brings with it a host of adventure hooks ripe for brainstorming. Additionally, the new Improvement Motivation can help the Engineer describe their outlook on their work. Makeshift is perfect for a tinker who loves to creatively solve problems with whatever tools and materials happens to be at hand, while Lethality highlights the fragility of existence, though less through philosophy and more through explosions and firepower. Engineers in the same specialization or role will have their own story about how they got to where they are. Some Engineers received the highest quality education through universities or galaxy-spanning corporations, while others may have found that with simple practice and access to guides on the Holonet, one can fix nearly anything! 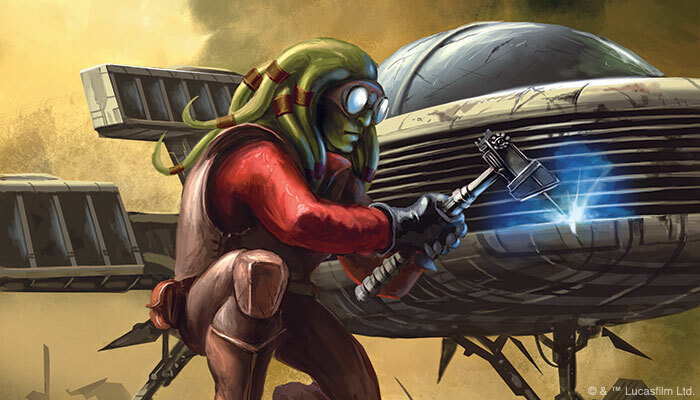 Fully Operational is on its way to bringing your campaign the mechanical expertise necessary to free the galaxy from the Emperor and his brutal regime. 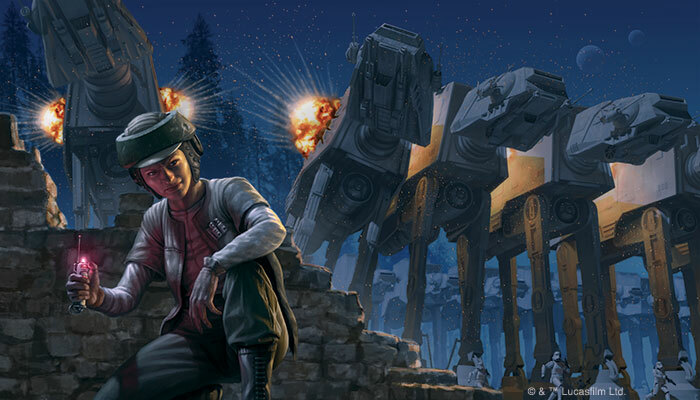 With a cargo bay’s worth of new character options, equipment, and campaign ideas, Fully Operational delivers exciting and unique ways to bring several different types of technology-minded characters into an active and crucial role in your campaigns. Stay alert for more previews at our website, and look for Fully Operational to be fully operational at your local retailer in Q3 2017!